It seems like every few weeks I read something in a facebook group, on a blog, etc. about someone stealing someone’s quilling artwork and claiming it as their own. Of course this happens with all sorts of art, technology, and more, but I keep up mostly on the quilling groups so that’s how I hear about these things. I also get messages from good samaritans letting me know that they saw my work being stolen on various sites. There are a lot of thoughts about this topic of copyright infringement, and I wanted to put my thoughts out there as well for those who go through this problem. It is very shocking the first time that you see that someone has stolen your work. What do you do? What CAN you do? I don’t have all of the answers, but I can tell you what I have done. Someone uses another artist’s photos, claims that the design is their own, the photos are their own, they are the creator, and they may also be claiming to sell the finished product. This is pretty much the worst. It really feels like a blow to the chest when you see that someone is taking your photo and claiming that your hard work is their own, and even selling it. They may also be copying the wording of your descriptions. When something like this happens, it is definitely going against your copyright. I don’t KNOW all of the legal details, but I have researched some, and basically you HAVE copyright over your own photos, unique designs, descriptions, etc. I put the word unique in bold, because you can’t have copyright over a very simple design. It would have to be quite unique and different for it to count. But you DO have complete copyright over the actual photos you take. If you see that someone has taken your photos, you can first write to them and ask them to remove them, as they are yours. Most of the time with a stern but polite letter, they will take them down and that will be the end. There are times when you can’t get through to the person(s) and they just won’t listen. If it is a site like Etsy you can submit a complaint and they can let you know whether they can help you. If you really truly want to pursue legal action you can look up what that entails. It’s often lengthy and not pretty, so you have to think about whether it is worth it. Luckily you most often don’t have to go there. There are also things you can do to prevent theft of your photos – such as watermarking them. I did not used to watermark my photos. There are still a lot of my photos out there with no watermarks because of this. And I’ve had more than my share of my photos being stolen. Which is why I have started watermarking. When you DO watermark you will find that your photos are still sometimes stolen, but often the thief doesn’t even bother to try to the watermark off, which just makes them look ridiculous, which is kind of funny. Someone looks at your design, creates a piece as close as they can and takes their own photo. They may or may not claim it is their design. They may or may not be trying to sell the piece. This is kind of a grey area. Some artists feel strongly that this is NOT okay. I agree that it is not okay if they outright claim that it is their own design. However, they DID make the piece and they DID take their own photos. If they make no claims about whether the design is their own or not, I personally don’t make a fuss about it. A LOT of beginner and intermediate level artists get their inspiration from other artists. Not everyone has the level of imagination to come up with their own designs right away. Nevertheless, if you ARE someone who has taken strong inspiration or really copied someone’s work down to the detail, please be respectful and have the courtesy to mention where you got your inspiration from. Someone sees another artist’s work and admires it. It is quite unique and they’ve never seen anything like that before. They give it a try and copy it, maybe changing some details. They take some photos and share it online. Maybe they are giving it as a gift to someone, or just sharing what they’ve made, or maybe they are selling it. Whatever it is, they make sure to give credit to the original artist and link to the artist’s own facebook page or blog. They even ask the artist’s permission before selling the piece that they made. This is the best case scenario. When you are polite and considerate, you will find that other artists really appreciate it. They put a lot of work into coming up with their designs. They may or may not be sharing tutorials of their work, but either way it is polite to ask their permission before selling something that you made that is a copy of their design. The person didn’t truly mean anything by it. With one or two polite letters, they will take it down and/or they will give credit and link to you. Some people just don’t think about those who are behind the designs, or they came across it and didn’t know where it came from and didn’t know where to credit. If you give them a chance you may be surprised. The other main scenario is that it is a bigger company without the morals behind it. They are out to sell products and they steal photos. They may or may not actually even create the designs. You can send them a letter and they might take down your photos. It’s not worth my peacefulness and the positivity that I try to keep and exude in my life to chase down copyright thieves. I believe in karma and I believe in the law of attraction. So I will attempt justice and believe that those who were simply mistaken or didn’t think about it will make things right. To those who don’t, I don’t bother to pursue the negativity. If someone finds inspiration in my designs and makes something the same or similar and goes out to sell it, more power to them. I am an artist and a teacher. I will continue to be both and I will continue to come up with new designs. 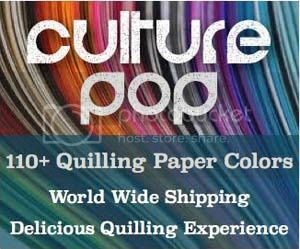 I have seen the paper quilled jewelry market explode since I started my etsy shop several years ago. I know a lot of my designs sparked inspiration in others. I’ve seen people try to exactly copy and I’ve seen people just take a basic idea of mine and make it into their own. I agree totally! One thing you didn’t mention – I have “created” some designs and later seen something so close somewhere on the web that I had to take a second look to be sure it wasn’t mine! This is especially true with jewelry. Maybe sometimes artists think alike? I think this would fall somewhere in “no foul, all fair”. Haha, yeah, I’ve had that happen a couple times as well. Sometimes you never know who even created it first! Sounds totally fine to me, Myrna! I know that almost everyone who does find inspiration in and copies designs has good intentions. I feel honored when my designs inspire others. As long as you are taking your own photos and not claiming ownership of the original design, then you’re good to go. Honey, this is a great post, as usual. I agree that it is heartbreaking when someone steals your design and certainly infuriating when someone steals your photos. Like Kathleen, I have had to do a double take on some photos to make sure they weren’t my own. Like you, I also offer tutorials and sometimes see my work directly copied, which is okay since I am trying to help and encourage others. However, with things being so easily sharable today, we should be more conscious about respecting other artists and giving credit where it is due. 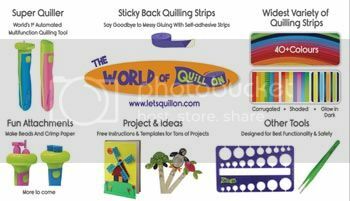 When I talk to others about quilling I almost always direct them to your blog as a great place for information ~ pretty much every time I do a craft fair I mention your name. I also cite your name in the description for my owls since they were inspired by your work. You have been a great inspiration for many quillers and I consider you my mentor. I have learned so much from you and I hope others, even those who copy my work, think about me the same way. Keep up the good work! This is a great article Honey! I am often times inspired by other people’s quilled works and I will often replicate pieces I have seen online as practice for my own quilling development. If I find that I really enjoy the design, I reach out, as I have done with you an your work. For those of you who don’t know me, I have had a lot of customers really love Honey’s quilled owls. I contacted a honey and asked if it would be ok for me to sell the owls. I did receive permission, however, I always credit Honey as the original brains behind the ever popular owl designs and I even call them “Honey’s Owls” when I sell them. It’s so important to ask first because often times, if done correctly, I can get people to actually go to Honey’s site… Which is what I want in the end. A lot of my work is what I call “a collaborative effort” I use a lot of other artists paintings as a layout for my quilled mosaics. I also stand behind a very firm set of guidelines that I have established for my own piece of mind and the respect of the art that I use. I ALWAYS seek permission first from artists. I can’t tell you how many times I NEVER hear back or get a flat out NO from other artists when it comes to using their work as a guide to my quilled mosaics. However, for every fifty no go’s I get one yes and those pieces end up being a ton of fun especially when they enjoy watching the quilling process. The bottom line is, yes, it can be flattering that others enjoy your work, but in my opinion it’s just not ok to reproduce anyone else’s art without expressed permission from the artist. There will always be art thieves, quilling thieves and almost worst of all people who claim they made your work. Keep your side of the street clean and respect the hard work that went into that piece of art that caught your eye. Thanks for this great article Honey! I like how you said “keep your side of the street clean”. Well worded!